So here’s the deal. I am really trying to be better about cooking new things for dinner, but sometimes you have to just fall back on your easy standbys when things are busy. One of my favorites is chili. And when it’s made in the crock pot, it’s even better! 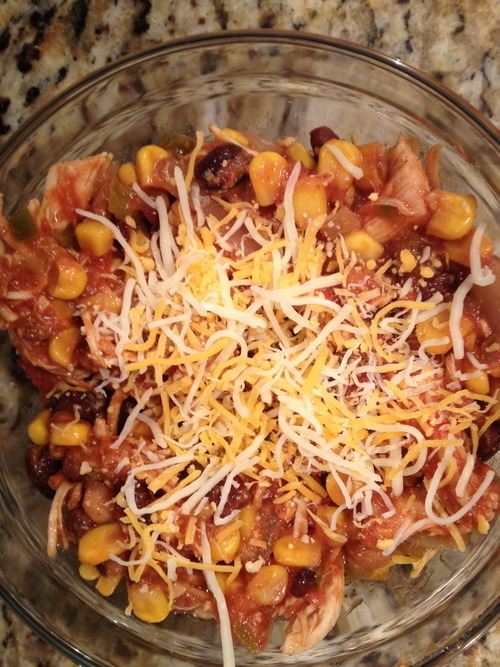 So here’s one of the best and easiest crock pot chili recipes. Use frozen chicken, otherwise it’s a little too mushy at the end. Also, wait to shred the chicken until you’re ready to serve. And I shred mine in my mixer with the paddle attachment (much easier than forks). The best part about this recipe is it lasts well. So I tend to make a big batch on Sundays and then enjoy it all week!